Is it Time for Engine Diagnostics? How do you know when your car is in trouble? When your vehicle engine is in need of some TLC? Often, you don’t—so thankfully, your car will actually tell you. That’s what the Check Engine light is all about. When you see that light illuminated, it’s because your vehicle needs something—something above and beyond the typical oil change/tire rotation maintenance. And the only way to tell exactly what it needs is to have some diagnostic tests run. That’s something our experts can help you with, right here at Meineke #2745 in Farmington Hills, MI. Basically, when the engine lights come on, it means there’s a problem with your vehicle. Sometimes, it ends up being a fairly minor issue; in other cases, it proves to be major. 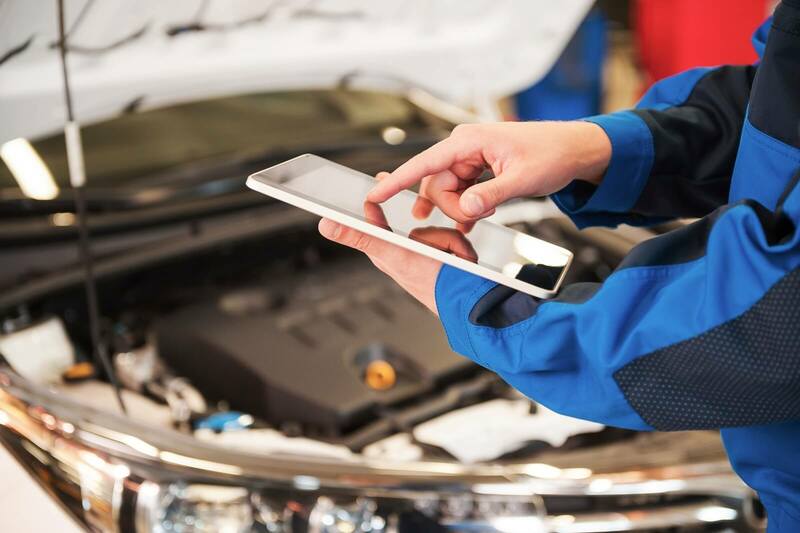 Regardless, the only way to know what’s going on with your engine—and how you can repair it—is to have diagnostic tests run by trained experts. That’s where we come in. At Meineke #2745 in Farmington Hills, MI, we can help you figure out why that Check Engine light came on, and what you need to do to keep your car in tip-top shape. The Check Engine light could denote a wide range of issues. Sometimes, it’s something simple; it may be that your fuel cap is cracked, an easy problem to fix. In other cases, though, the Check Engine light denotes something far more serious—potentially a problem with your transmission, or with the electrical system. You don’t want to leave these problems unaddressed for too long, as they will typically worsen with time. That’s why it’s so important to make an appointment at Meineke #2745 in Farmington Hills, MI whenever that light comes on. But when you bring your vehicle in for a diagnostic test, our technicians can run a few tests to get you clear, straightforward answers. Usually, the Check Engine light will give a diagnostic code. To a trained eye, this diagnostic code reveals the underlying issue with the vehicle. Our technicians might also run some basic visual tests to confirm this diagnosis. Then, we can provide you with the next steps that need to be taken in order to fix the problem and keep your engine running the way it’s supposed to. It all starts when you visit our team at Meineke #2745 in Farmington Hills, MI. One more thing to note: We’re not only here to diagnose your engine. We’re also here to help you save money! We always price our services fairly and transparently. What’s more, we have a Coupons page where you can often find great discounts, deals, and promotions. Check the page today, and remember to visit us at Meineke #2745 in Farmington Hills, MI should any of your engine lights ever switch on! There are no coupons for Engine Diagnostics services at this location.